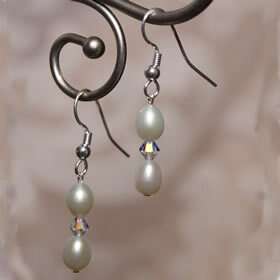 These 2 drop sterling silver earrings are designed with genuine freshwater pearls in a beautiful peacock color. 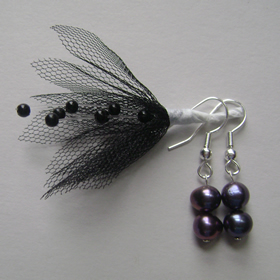 The potato pearls are 6mm in size and the earrings are on a shepherd hook design for easy wear. 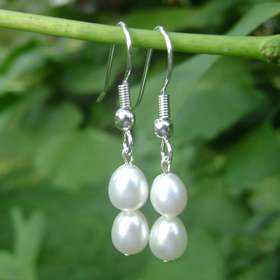 These stunning sterling silver 2 drop white 6mm genuine freshwater white rice pearl earrings have a beautiful luster. The earrings are the shepherd hook design for easy wear. These earrings can be worn all year round and are perfect for all skin tones. 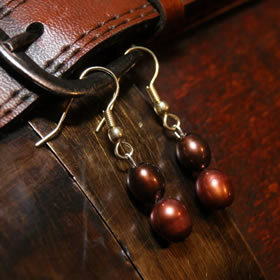 These double drop pearl earrings are 6mm in size and are designed with the chocolate color rice pearl. 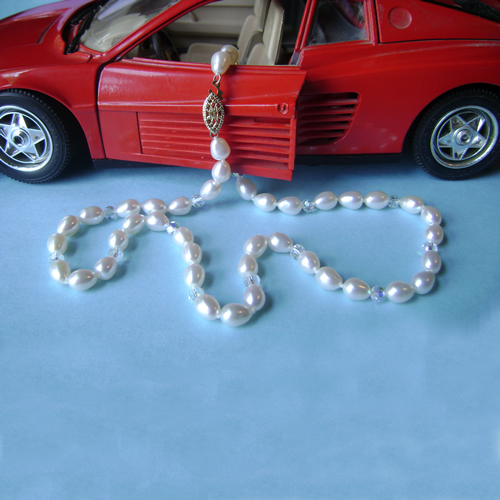 The pearls are very smooth to the touch and have an excellent luster. 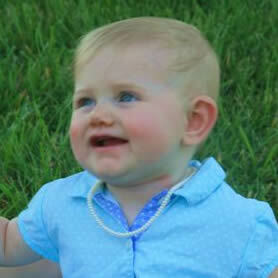 The gold filled color shepherd hook earrings compliments these pearls beautifully. 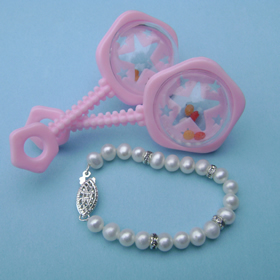 These white rice pearl double drop earrings are 6mm in size. The Swarovski bi-cone crystal in the center of the pearl is 5mm in size. The sterling silver shepherd hook makes them easy to wear. 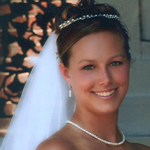 These earrings are a favorite with my brides. See our Earring Length Guide for additional help with selecting the best earrings for you!